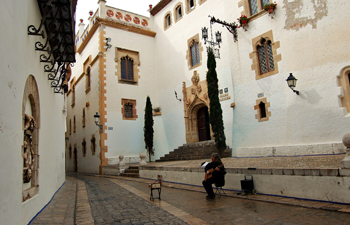 Sitges is known for being a meeting point for artists and tourists attracted by the large number of opportunities and activities offered by the municipality and, above all, by the star king, which offers its visitors nothing more and nothing less than almost 300 days of sun a year with idyllic temperatures. 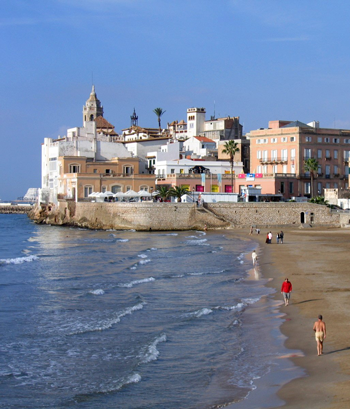 Today, Sitges is considered the most mentally open city in the world (a title it shares with San Francisco in the US) since more than 70 nationalities coexist due in large part to the large influx of tourists from around the world and for its more than known fame of being an ideal place for the homosexual collective. At the cultural level, his legacy is more than important. It has managed to preserve its medieval areas as well as a part of the old fishing village that it was, offering tourists and locals an unparalleled architectural wealth. If we talk about the future, a promising one awaits Sitges without a doubt. With a tourism and population that does not stop growing year after year, and with a constant innovation and investment in infrastructure and security, they make the city an ideal place to live, spend your vacations or do business. And as a button shows: Sitges owns, according to the prestigious newspaper The New York Times, the best urban beach in Europe. Do you need more to decide? We do not think so, but just in case you visit the rest of the sections, we are sure that you will soon decide! 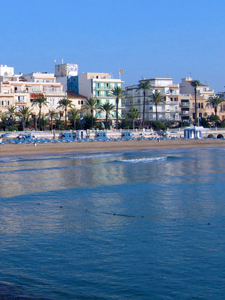 The town of Sitges has a total of 17 fantastic beaches of spectacular beauty and quality bathing and fine golden sand that have earned the ISO 14001 quality award which rewards those beaches with a quality of water, sand, services cleaning, help for disabled people, rescue and excellent lifeguards. In fact, some of its beaches have nothing to envy to the Caribbean itself, where contact with nature is constant. 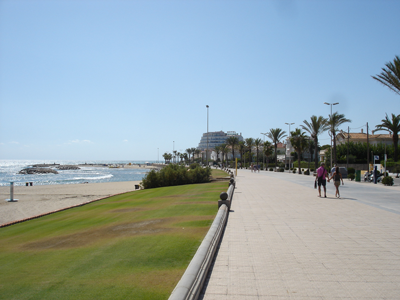 Sitges offers a wide variety of types and environments of beaches: from a relatively large and familiar beach like Bassa Rodona to the small and quiet naturist cove of Desenrocada. Fruit of this quality, the beach of Sant Sebastia was named “best beach in Europe” by the prestigious newspaper The New York Times. Its seafront allows us to travel a total of 11 beaches located in the downtown area (we can find 2 more in the area of Poniente and 4 in the Levante area) while enjoying the historic center and its always cheerful and festive atmosphere. During the summer season, activities are carried out on the beaches for all types of public: first aid classes, aquagym, GAP, Tai-txi and aerobics among others. If you want to attend, it is recommended to visit the website of the town hall (http://www.sitges.cat) to find out the place and times. The SALCAT rescue and rescue service has a completely free bath chair service that allows users with disabilities to enter the sea safely. 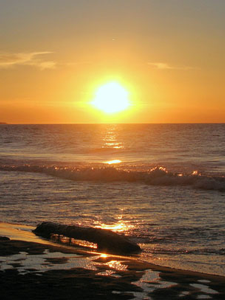 Known for its wide and beautiful leisure offer for all types of public and tourism, Sitges has everything you are looking for: relax, beach, mountain, sun, party, sport, music and film festivals … something that makes it a destination unbeatable of the Mediterranean coast for international tourism. The offer of sports activities of sea or mountain are almost endless. The large number of existing nautical clubs as well as around 30 companies dedicated entirely to this type of activities represent a very attractive and varied offer to enjoy our favourite sports. Courses and outings with all types of sailing, kayaking, surfing, nautical charters, jet skis, windsurfing, water skiing, swimming, in addition to the celebration of numerous regattas, some of international projection. 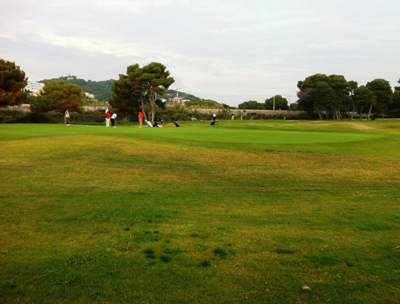 We can not forget golf, as there is a 18-hole competition golf course and driving range. Finally, the Garraf massif provides the possibility of hiking, mountain biking, motorcycle or horseback riding, and caving or climbing. In addition, Sitges is known for hosting important sporting events: the Half Marathon, the Spanish Beach Volleyball Championship, the Beach Rugby Tournament, the Spanish Enduro Championship, the Mundialito de Veteranos de Fútbol, ​​etc. 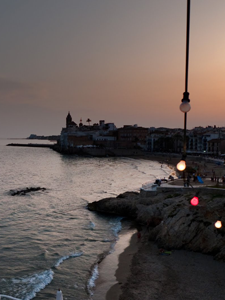 Sitges offers an incredible variety of leisure activities and exciting nights around its numerous bars, pubs and discos (the popular street Carrer del Pecat is a very good example). 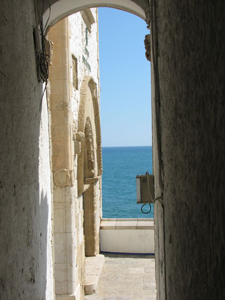 The animation of the streets of Sitges does not stop during the day or at night. The whole town is a great shopping center, bars and restaurants that gather thousands of people throughout the year. During the year, together with the traditional festivities that take place in this town on the Barcelona coast, events are organized that stand out for their world-wide fame, such as the Sitges Carnival, the International Fantastic and Terror Film Festival, and the Car Rally. of Era Barcelona-Sitges, among others. It also has a large gay and lesbian community, so it has numerous bars, pubs, nightclubs and restaurants. 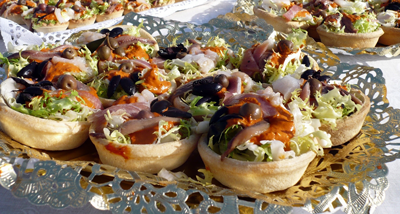 Sitges is also known for its undeniable gastronomic offer of high level specialized in fish and rice, as well as the famous xató, without forgetting the avant-garde proposals of contemporary dishes, which makes an unforgettable experience for our palate. In addition, the quality is more than assured as many of its restaurants are grouped in the well-known Club de Tast, a collective of hoteliers that works with the purpose of guaranteeing the quality of the products and of offering a kitchen that knows how to take care of all the details And it is not for less since being gastronomic capital of the Garraf supposes a demand and daily dedication. From Sweet Apartments we recommend the specialty of the area, the popular xató: a cold dish made with escarole, desalted and shredded cod, salted tuna, anchovies and arbequina olives, accompanied by a sauce based on garlic, almonds, hazelnuts, anchovies, ñoras scalded, fried bread, bug, oil, vinegar and salt. And, of course, all accompanied by an exquisite wine from the Garraf appellation of origin.